All my life I am called Chubby Girl. This is something I never asked for, but the taunting eventually start eating up my life. Every time someone say I put on weight, I am unable to stop myself from being beaten down. The last time I actually lost weights was during college times and it was only because I live away from my family and took vegan and oats 6 days a week. I have tried dieting and detox products in the market to be honest but ever since I started working, nothing works for me. Being in a health care line, I understand the consequences and risk of consuming diet products that are not certified, hence I always do my homework before purchasing one. 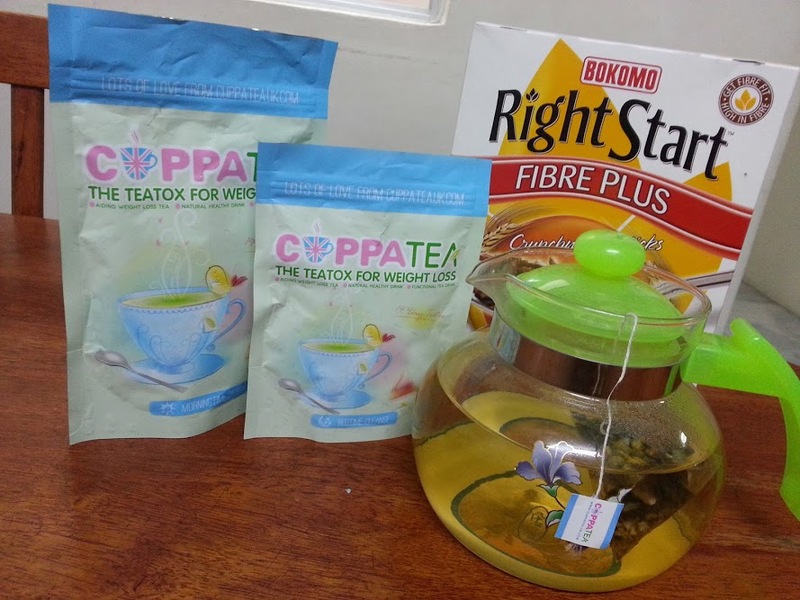 It is at this right timing CUPPATEA came across my path and I was given the opportunity to engage in their 14 Days Teatox program. CUPPATEA is relatively new in Malaysia, but it is well-established in the United Kingdom and other countries. 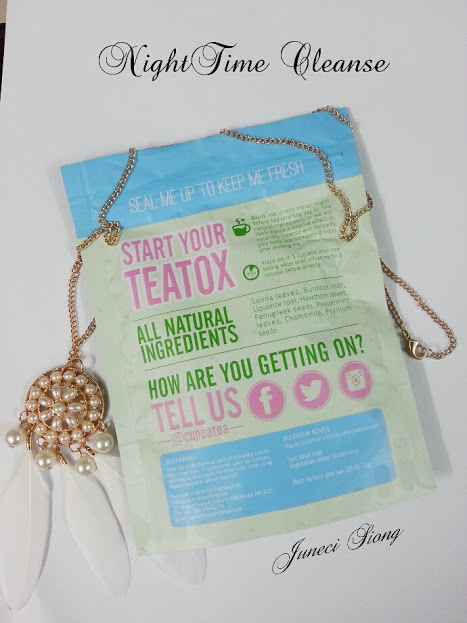 Made of 100% natural ingredients, this teatox is chemical, preservative and bacterial-free. This teatox is a supplement aiding in weight loss and should not be used in replacement of a balanced diet. What made me trust this product is their philosophy. "We believe that weight loss should not involve diet or starvation. Beauty and weight loss could be achieved by living a balanced and healthy lifestyle." I agree that is how an ideal body weight ought to be achieve. Rather than some unbelievably no exercise nor diet required weight loss claims made by risky products in the market. You know you have came across too many of these fabricated too-good-to-be-true promises. The ingredients used in CUPPATEA are beneficial in many ways. Drinking them regularly will help in burning fats and prevention of fat storage, cleansing via detox, improves skin complexion and helps sleeping better at night. 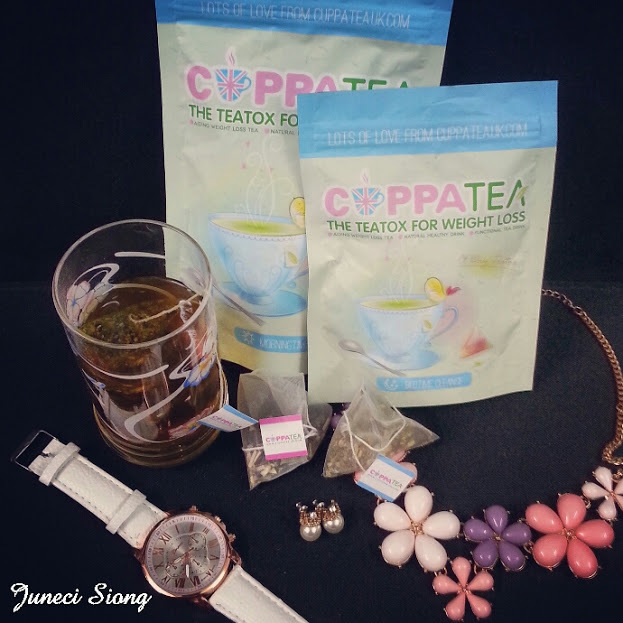 CUPPATEA comes in 2 different program to suit individual needs; 14 Day and 28 Days Teatox. Just for your information, the MorningTime Detox contains minimal amount of caffeine without any laxative effect. 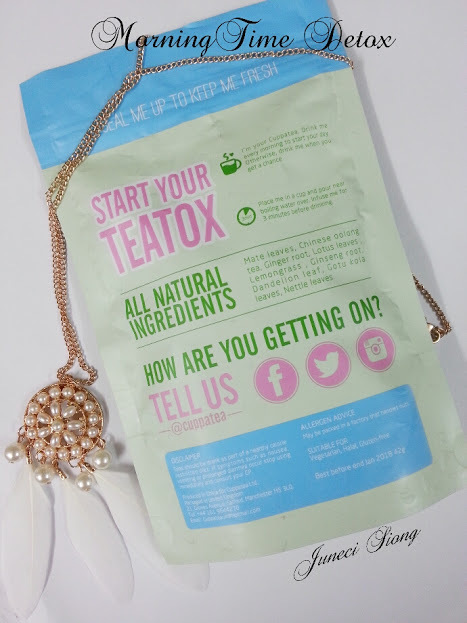 The 14 Days program consists of 14 tea bags of MORNINGTIME DETOX and 7 tea bags of BEDTIME CLEANSE (one for every alternate nights). 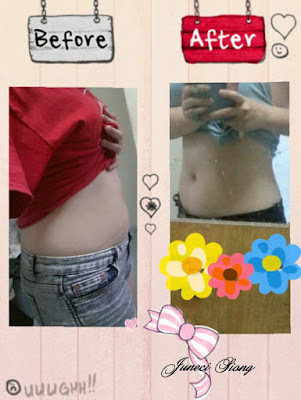 At the end of the 14 Days Teatox program, there is some significant reduction of my tummy bloating. I won't say I lost some weights because I wasn't being discipline enough but it made me happy my tummy is flatter. 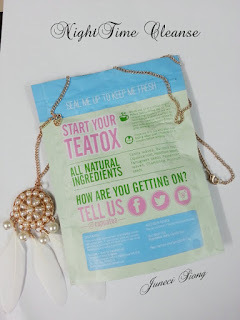 Although CUPPATEA highlighted that the night teatox may cause some laxative effects (due to presence of Senna leaves) 8 hours post consumption, I swear I didn't have any tummy ache. I don't know about others but my experience with CUPPATEA is a good one. CUPPATEA is offering 15% off with any purchase to all my readers! Disclaimer: This is a sponsored post. All products are evaluated based on my honest opinion and not biased.